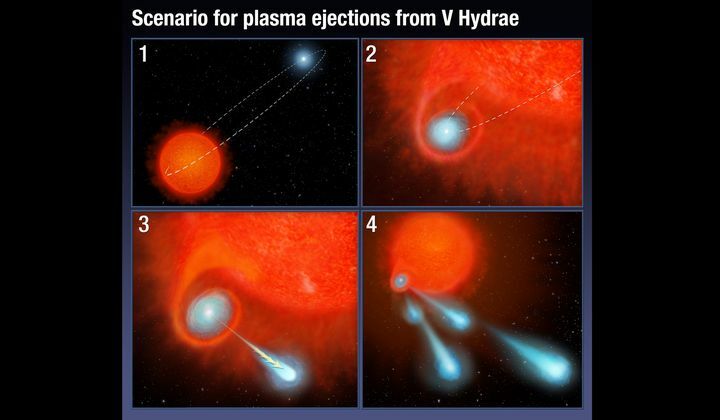 A bizarre star system is lobbing out superhot plasma blobs at blazing speeds every 8.5 years. The Hubble Space Telescope located their starting point at a red giant star, which couldn’t be generating them. More likely, an unseen companion swings by closely, gathering material from the red giant and flinging it into space.